$460 for 5 Hours or $510 for 8 Hours. 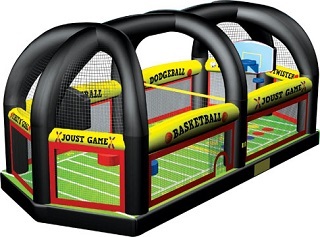 (Plus Tax)Truly the ultimate, this item provides a fully covered inflated arena where participants can choose between different games, including volleyball, basketball, soccer, dodgeball, football, Twister or the Gladiator Joust! 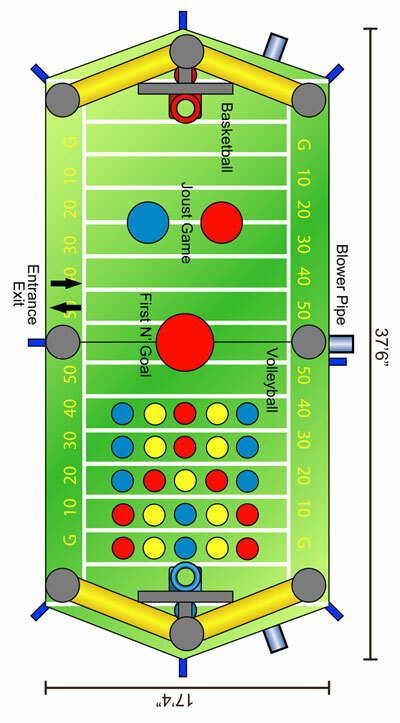 A great item for all ages that allows for a high volume of competitors to play at once!